This year, we’re rounding up some of our favorite bloggers to get their thoughts on faith and family. We asked them: How do you approach routines and schedules during the summer? I’m pretty unstructured as a mom but I know it will be important to keep the sense of structure my daughter got used to this year in school. We’ll probably find a happy medium of kicking back some days and being more intentional for others. Most of all I just want to enjoy my children this summer. I’ve heard it said that once they start school you only have 13 more summers before they are off to college. I want to soak up every single moment of those months! Too much freedom leads to boredom and disobedience in our home. We try very hard to have a fun summer structured schedule. I am flexible – but without any boundaries, our boys end up bored out of their mind or constantly on each other’s nerves. We do not think “structure” is a bad word! We are very relaxed in our schedule anyway so summer is not much different. We do take off for Church Camp, Bible School and other fun outdoor activities but my kids are military kids, so they are used to being flexible. We have a more relaxed summer schedule. Even though we still do school year round, we have a more relaxed schedule and don’t spend as much time doing school work each day. Our summer schedules revolve around trips to see family and our work schedules, but otherwise it’s pretty free-flowing. We only get two months off from school so it flies by. All of our readers are required to read for 20 minutes each morning. Besides that, nothing else is required each day, but they are very inquisitive and we are always looking for books to tell us how things work and why they happen the way they do. We have a daily nap time for our little two and quiet time for our older two regardless of the season, but during the summer, it is more flexible. Often naps are moved earlier so that we can head to the pool sooner. The only change to our summer schedule is that there is no structured school time. Our normal schedule is flexible and laid back most days already. I run a very relaxed home environment. There is some structure in regard to chores and bed time, but we just decide what to do as the day comes. We live just 3 blocks from the beach so it isn’t unusual for us to walk down there at the spur of the moment and just take in the beautiful sights and sounds. I have found that structure is extremely important year around. While it is more lax during the summer, a schedule allows the children to know the expectations of what is going to happen throughout the day. In our home, days devoted to full-on-freedom end with bickering and fighting. We have routine things, but the time is flexible so the kids can sleep in and enjoy the break in school routine! While our summer routine is a bit more relaxed, having a basic routine is still essential for our sanity. When we get too relaxed in our structure (i.e. no restrictions on technology use, no daily rest period, etc. ), obedience issues tend to arise. Our summers tend to have quite a bit of structure with days of complete freedom sprinkled in. I usually sign my kids up for the town swim team as well a few camps during July and August. That means we still have to get up early because we have some place to be. However afternoons we play by ear and when the kids have a day off I try not to schedule anything. We have a good bit of freedom over the summer. The children are allowed to sleep late, but they are still given a bedtime, so they don’t try to sleep until noon! During the day, they are allowed to work on crafts and activities that they want to do, but they are also given chores to do each day. Some summers we continue our homeschooling if we have something we need to finish and didn’t get done during the school year. If we homeschool over the summer, though, it’s very relaxed. And of course the children have lots of free time to enjoy being children! With five kids, ages 6 and under, we need some structure or life would be completely chaotic. We generally run on a loose schedule with time blocks for certain activities (chores, read-alouds, playing outside, an afternoon quiet time, etc.) I’ve found that the kids like to know what to expect and I like the compromise of a loose schedule so I don’t feel behind if we get caught up in our read-aloud and read a few more chapters. 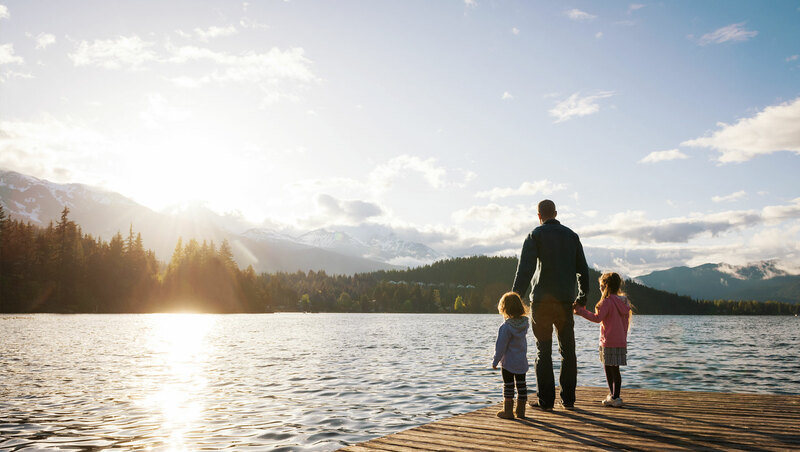 Does your family stick to a plan or go with the flow during the summer? Let us know in the comments!